The marketplace integrated Dwolla’s scalable, RESTful API in less than 14 days. GetMyBoat connects boat owners with those who are looking to rent. And with more than 62,000 listing on its online marketplace, users can quickly search, find and book a listing through its web or mobile application. 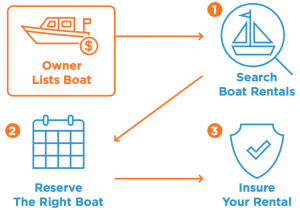 The company collects payments from the renter and pays the owner of the boat through the ACH Network. With boat selection and pricing varying across the platform, GetMyBoat needed a payment solution to be integrated quickly and accommodate a vast range of payment amounts and frequency. The marketplace integrated Dwolla’s scalable, RESTful API in fewer than 14 days to deliver numerous daily payouts to its large and growing base of boat owners. Event and webhook notifications plus simple administrative tools helped automate and manage their operations, saving valuable time and resources. GetMyBoat considered working with its financial institution to deliver payouts through its ACH option but that proved to be costly in time and resources with outdated integration methods and lack of service or support. As they looked for a payments solution to automate transfers, scale and integrate quickly, GetMyBoat considered eight different providers. During their search, the marketplace found that many options had transaction-based pricing structures that would eat into its profit margin. Additionally, corresponding API documentation lacked the level of sophistication desired. GetMyBoat knew it needed a solution that automated and streamlined payouts without compromising its customers’ experience within the platform. GetMyBoat needed control over the integration from both a technical and design perspective—and it needed it quickly. As the platform grew, it sought a payments partner that had the capability and functionality to not only accommodate that growth, but to empower the team to meet its goals for expansion. GetMyBoat chose Dwolla’s API to deliver payouts to its boat owners within the marketplace, paying a flat monthly fee rather than a per-transaction fee. Now as new boat owners enter GetMyBoat’s marketplace, they simply provide bank account and routing number information to receive their payouts. In tandem, the API, developer documentation and pricing structure served their scalability needs well and resulted in a solution that processes numerous payouts per day. GetMyBoat found Dwolla’s SDKs to be highly accurate and up-to-date, especially when comparing against other providers that hadn’t pushed updates for months on end. With help from the sophisticated developer documentation, GetMyBoat built out its payout system with Dwolla’s ACH API in less than 30 days, with a majority of that time spent layering operational business logic on top of the Dwolla functionality. And with Dwolla’s Dashboard and Admin tool, the GetMyBoat team was equipped with valuable information to review and make data-driven decisions. As soon as they went live with Dwolla their team could track activity, monitor payouts and get instant feedback without building new internal processes.